You know, I don’t use the word marvelous very often, but it fits as I look back on yesterday—especially our Managers’ Reception. I have to admit, I was a little nervous about this event. It was scheduled at Universal Studios here in Orlando, and I can’t say I was all that excited about spending the evening riding roller coasters, but I had so much fun! And everyone I talked to did too; in fact, several people mentioned it was the best Managers’ Reception they’d ever been to. We boarded the buses at the hotel then headed off to the park. When we arrived, we were greeted with a red carpet and a live band—and things only got better from there. The park was closed, and we were escorted from the main entrance to the Marvel Super Hero Island, a special place where the famous Marvel comic book heroes come alive. A divine buffet filled the street, and there was plenty of yummy food for everyone. The signs on the street were personalized, with the Stampin’ Up! logo all over the place. You know how in comics they have word bubbles with Pow! or Bam!? Those bubbles were all over the island, but they had replaced the comic-book words with words like Stamp! and Swap! It was very cool. Spiderman and other super heroes (I don’t know all their names, but I recognized most of them) were mingling with our own Stampin’ Up! demonstrator heroes and posing for photos. 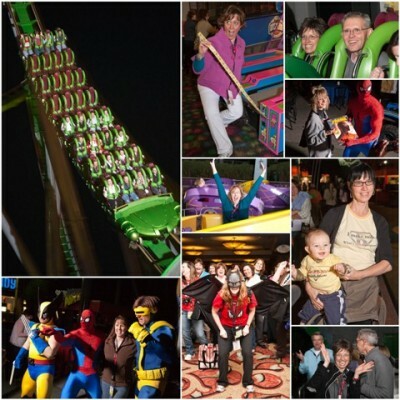 The rides were all open, and there were no lines—an unusual and welcome experience in a theme park. People were jumping off one ride and running to the next one; a few people actually rode the roller coaster 15 times! It was so much fun to see the kid come out in everyone! And, as usual, our Events staff had thought of every detail, and the entire evening was a huge success. Of course, that was the end to an entire day that was wonderful. Yesterday started kind of early, with an Advisory Board Reunion poolside breakfast. The omelet bar was tasty, but I enjoyed visiting with all the Advisory Board alumni best. Our opening session went well, with several exciting announcements. 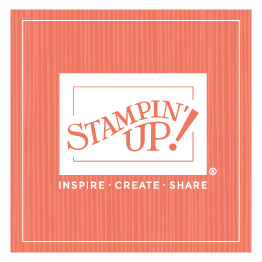 One thing that people seemed the most excited about was the announcement of My Digital Studio, Stampin’ Up!’s own digital software. We’re not announcing any official launch date yet, other than later this year, but when it comes out, it is going to be so cool! I’m sure I’ll be posting more about that in the future. One of the things I’m personally very excited about is our line of stencils, and I got to demonstrate that on stage. I loved preparing for my demonstration, and afterwards several people told me that originally they hadn’t been very interested in stenciling, but after seeing the projects and techniques I showed, they were looking forward to trying it themselves. I’m glad I was able to catch people’s attention because I think stenciling is a great way to decorate your home, as well as lots of other projects, including cards and scrapbook pages. The classes on both days went extremely well, I think. I actually taught a class this year for the first time, so I didn’t have time to attend the classes yesterday, but since my class was only taught one day, I popped into the others today. 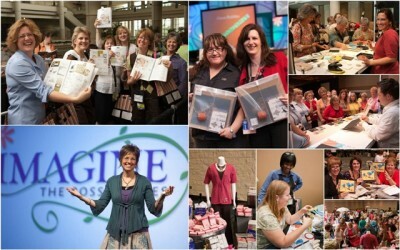 Every class I went to—and every class I heard about—seemed well received, with training and material and information and ideas that people loved. Our closing session ended on a fabulous note with Kathleen Passanisi—she was the best way we could have ended an already terrific conference. She talked about change, an underlying theme of several presentations (which wasn’t planned, by the way), in a way that was both entertaining and thought provoking. She was fast-paced, humorous, and timely; I loved her! So, it was a long, full two days, but like I said, it was marvelous!